This is your calling! Audiences are dancing in the aisles and singing to the soulful songs of Sister Act, playing now at the Poplar Pike Playhouse. “Very funny,” exclaimed Ashton Collins. This version of Sister Act is based on the movie of the same title, made famous by award-winning actress Whoopi Goldberg. “I knew about the movies but I didn’t know it was a musical as well. It was fun and energetic!” said April Strand, a long-time PPP patron. The musical begins explosively with Deloris Van Cartier’s dynamite personality. When this soulful lounge singer witnesses her gangster boyfriend, Curtis, commit murder, Deloris runs to the police and finds herself in a unique witness protection program- a convent! Under the suspicious watch of the Mother Superior, Deloris turns the convent’s lackluster choir into a musical powerhouse. As she helps the choir discover their voices, she unexpectedly rediscovers her own as well. “The enthusiasm of the cast was amazing! My favorite one yet!” compliments Stephanie Thomas. Come be a part of the act and experience a show like no other! Sister Act runs until March 9th. Tickets can be purchased at PPP.org or by calling the Poplar Pike Playhouse’s box office at (901) 755-7775. Tickets can be reserved in advance and receive a discount with the use of promo codes on the PPP’s daily updated social media pages (Facebook, Twitter, and Instagram). The Poplar Pike Playhouse is located on the campus of Germantown High School. Germantown High School Television has once again been nationally recognized for exceptional broadcasting. GHS-TV recently received a National Student Production Award for its Red Devil Post Game sports show. The National Student Production Awards recognize high school students for their achievement in video production. Red Devil Post Game is a student hosted and produced show about GHS sports. Each show features game highlights, coach and player interviews, and in-depth analysis. The winning show features the 2017 Red Devil Football team. Host Ryan Coleman highlights the team’s remarkable winning streak and studies the Devils’ overall performance. The show also featured an exclusive interview with Jacksonville Jaguars’ tight end Mychal Rivera. The National Academy of Television Arts & Sciences presented the award on Thursday, October 18th. Before winning nationally, Red Devil Post Game competed regionally. 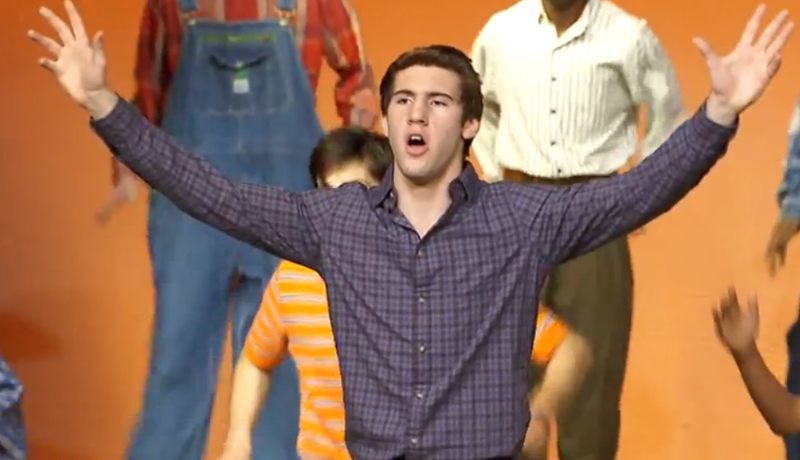 The show received its first regional win in April at the 16th annual Mid-South Student Production Awards. Rachel Christopherson, Ryan Coleman, Tate Jakobi, Andrew Pollard, and Wolfgang Stoltz represented GHS-TV during the ceremony. Established in 1982, GHS-TV is a community television station operated by the students of Germantown High School. GHS-TV is seen online at ghstv.org and its programming airs in the Memphis area on Comcast C19. Student work also appears weekly on the local NBC affiliate, WMC-TV Action News 5, as part of its News 101 series. GHS-TV serves as a model facility that continues to produce original programming, inform citizens and educate young people interested in telecommunications careers. GHS-TV has been named the nation’s best access station an unprecedented 14 times by the Alliance for Community Media. Students have won over 172 Hometown Video Awards, 50 regional and 2 national Student Emmys™ . 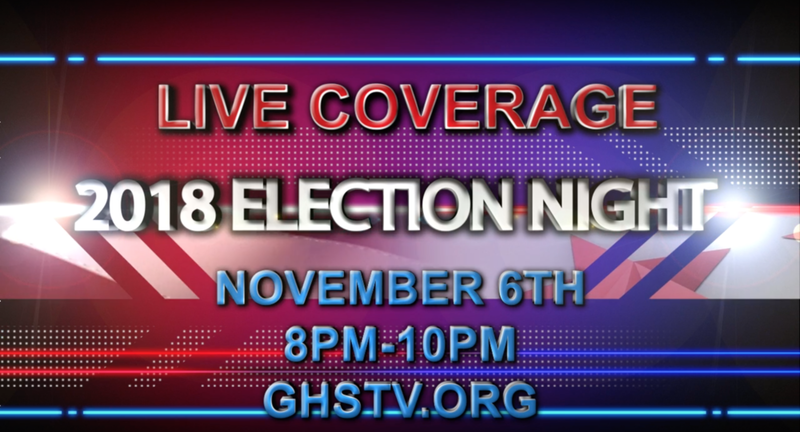 Watch GHSTV’s live coverage of Election Night 2018…. Tuesday, November 6th at 8pm…. only on ghstv.org! 31 Singers from GHS auditioned for the All Southwest Senior High Choir. Jessica Brimage, Rachel Christopherson, Abigail Davis ,Andrew Heady, Garret Heady, Dane Henderson, Mackenzie Kuykendoll, Allison Lee, Kaitlyn Poindexter, Erica Thomas and Rodney Mckinner. Congratulations GHS Red Devil Band! Congratulations to the GHS Red Devil Band on their Forth Place finish at the Arlington Band Invitational! Also Congratulations to our Field Commanders Faith Vipparthi and Allison Lee who finished First in their Band Class and Large Band Division!